The machines’ major attribute — their higher resolution and increased display of tissue detail — may lead doctors to find “incidentalomas,” accompanying findings unrelated to why the scans were ordered in the first place and don’t affect patients’ health. More CTs and MRIs, the critical doctors note, only generate more incidentalomas. They note they’re not the only but the latest critics of over imaging. The “Choosing Wisely” initiative, which seeks to reduce patient harms and costs and to improve their care, included 10 procedures questioned by members of the American College of Radiology. or if youngsters appear to have appendicitis and can get a fast, easy, and more convenient ultrasound test. Efforts like these to curb imaging use are laudable, the Mayo-Stanford experts agree. But they argue yet more needs to occur. They suggest ideas, including getting doctors to discuss in more detail imaging plans with patients. They might present them with information like flow charts to show treatment paths resulting from imaging. That may ask too much of sick, injured, and weary patients. And they might be so buffaloed by medical jargon that they seek more rather than fewer test. Experts may need to play greater roles. Radiologists might need to tweak their machines, so they provide only appropriate and lower sensitivity and not greater, reducing findings of incidentalomas. Radiologists could curb these, too, if they narrow the area scanned to avert showing incidentalomas nearby. They also might need new authority, akin to what’s exercised by infectious disease specialists. In many hospitals, infection experts must approve the most powerful antibiotics to prevent their routine prescription and over use. Radiologists may need “gatekeeper” powers to veto inappropriate imaging orders. In my practice, I see not only the harms that patients suffer while seeking medical services, but also the damages that can be inflicted on them by dangerous and defective products, which can include powerful imaging devices. Computed tomography involves a sophisticated form of X-ray, and care must be exercised to protect patients from excess radiation and its injuries. 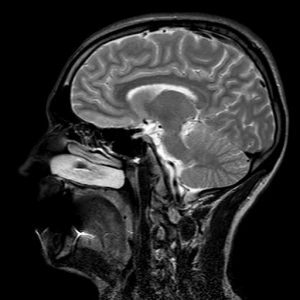 MRIs involve strong magnetic fields, and these can create hazards, both causing otherwise ordinary metal items to become flying projectiles or reacting with materials to burn patients’ skin. More fundamentally, excess imaging is just another aspect of over testing, over screening, over diagnosis, and over treatment that adds billions of dollars of wasted costs annually to a U.S. health system bloated with $3.5 trillion in spending. Misdiagnosis is a rising menace to patients, leading to their needless and painful injury and death. It also boosts the occurrence of medical errors that claim the lives of roughly 685 Americans per day ─ more people than die of respiratory disease, accidents, stroke and Alzheimer’s. That estimate comes from a team of researchers led by a professor of surgery at Johns Hopkins. It means medical errors rank as the third leading cause of death in the U.S., behind only heart disease and cancer. Even if patients get clear diagnoses — fingers crossed they do so — imaging can be painful in other ways, specifically for their finances. CT scans can cost from $600 to $2,000, while MRIs go for double those amounts and more. This, of course, depends on the procedure, where the imaging occurs, patients’ health insurance, and other variables. One cost that is fixed is what hospitals, clinics, and even some specialty practices must fork out for the testing machines. MRI devices can cost, used, a few hundred thousand dollars but upwards to several million; used high-quality CT scanners hover in the $200,000-plus range. The machines need expert and intensive staffing, which also drives up patient expense. And while big hospitals and academic medical centers find themselves in cost and service battles with free-standing imaging operations, medical providers all are sinking big money into machines to lure patients’ business. The parties apparently haven’t hit the point where they ready to stop shelling out and making big investments to win lucrative business — so, patients still may pay dearly for too may procedures, so providers can keep those registers ringing.